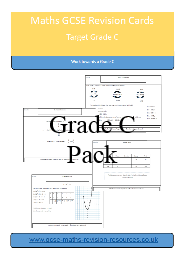 If your target grade is higher, use these cards to ensure you are competent with the lower grade questions. Remember to achieve a grade A* the score required will be over 80%. Can you afford to make errors on the easier questions?